"Proud Partners with Makani Kai Air serving Molokai's people"
We are proud to announce our partnership with Makani Kai Air as our number one mode of transportation to Molokai. We still work with the other carriers but we believe that Makani Kai Air's commitment to the people of Molokai is outstanding and fits well with our mission and vision statement. Molokai Outdoors Activities works with Makani Kai Air to combine and blend their services in order to bring a wonderful experience to our visiting guests. We use Mokulele as a back up when the flight is sold out with Makani Kai. Weather permitting, The pilot will fly you along the north shore of Molokai offering fabulous views of the highest sea cliffs in the world, waterfalls, and spectacular valleys. We can arrange for a private charter as well and can offer the flights from Kalalua on Maui. Once on Molokai we will provide airport pick up for your Molokai "Island Tour". 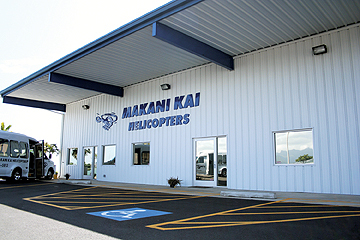 Fly with Makani Kai Air from their own building in Honolulu. 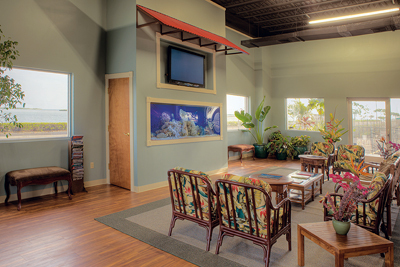 Address: Makani Kai Air - 130 Iolana Place - Honolulu, Hawaii 96819. After the tour is finished, take the scenic Island Air flight directly back to Oahu. Tours are weather permitting and safety is our priority. There is a weight restriction of 249 lbs for all air packages with the smaller carriers, so weight is important. However if you exceed or unsure then call us, and Ohana Air would be another option. Molokai Outdoors Activities offers several Kalaupapa air tour options. Complete details can be found on the Kalaupapa Outer Island Tours page. We can arrange a charter from any of the islands no matter on the number in your group. We work with different carriers and can help find you a plane that will suit your needs. CELEBRATING OUR 20TH ANNIVERSARY FOR 2019!